Yusuke Suzuki broke the Japanese 50-kilometer walk record at the national championships on Sunday, boosting hopes of a record medal haul by the hosts at the 2020 Tokyo Olympic Games. 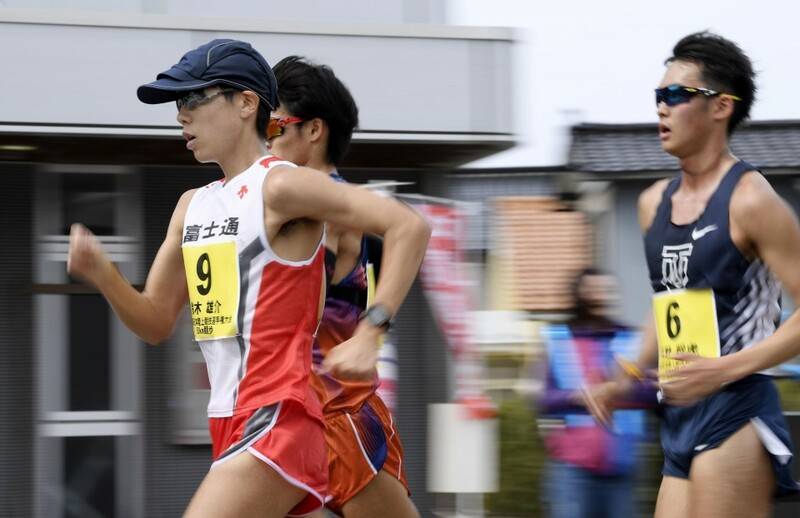 Suzuki, who holds the world record in the 20-km race walk, set the new 50-km mark of 3 hours, 39 minutes, 7 seconds, on the Japan Association of Athletics Federations-approved course at Wajima, Ishikawa Prefecture. The previous record of 3:39:47 was set by Tomohiro Noda last October. Sunday's event also doubled as a qualifier for the world athletics championships to be held in Doha this fall. The International Association of Athletics Federations Council voted in 2017 to retain the men's 50-km walk on the program for Tokyo 2020, despite a recommendation to remove the event and replace it with a half-marathon for both men and women for gender equality. At present, men compete in the 20- and 50-km walking events, while women race only over 20 km. Last month, the IAAF Council "in principle" approved abolishing the 50-km race walk from major international competitions after Tokyo 2020. The Japanese Olympic Committee has set its gold-medal target at 30.